You are here: Home / Entertainment / BASE DUBAI has the whole city of Moscow talking with its launch onto the international party circuit over the weekend. 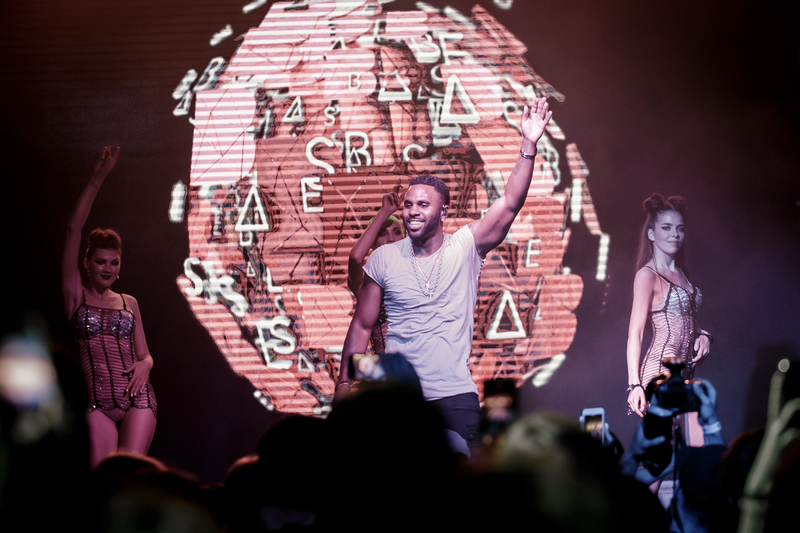 Launching the only super club in the city for the World Cup 2018 on Thursday June 14th with headliner Jason Derulo, the jetsetters, tastemakers, celebrities and heavy hitters of the world came out to celebrate the opening of Base Moscow. Jason Derulo performed 8 of his biggest tracks staying to party with the team at Base and his friends. Russian celebrities and socialites joined Friday’s event celebrating BASE founder and owner Evgeny Kuzin’s birthday with Jack-e from St Tropez’s Cave Du Roy. Guests included powerhouse Businessman and rapper Timati, as well as his protege Egor Kreed, Viktoria lopyreva Fifa Ambassador, YouTube star Amiran Sardarov and Alexander T-Killah Tarasov. Not only was the night a who’s who of Russian royalty, legendary footballers Ronaldo and David Trezeguet were spotted in the club. Saturday’s event saw International nightlife brand 1OAK hosting the night with a bang. Singer Maluma was spotted partying with a show of Cristal headed to the table with a group of his close friends, whilst actor Adrian Brody and footballer Patrice Evra were seen at the owners table. After Mexico’s big win at the stadium, the party continued on Sunday with Toy Room London and Jordan Rocca hosting the night.